I feel that sometimes I am a lost soul on the spectrum of good parenting, but I know how to do at least one thing right: I know how to get children to love books. You see, I don’t just want my kids to be taught that they ought to read. I want it to be part of their very heart and soul. I want to inject their DNA with poetry. I want them to need words as much as they need water. I want ABCs and XYZs flowing along side their white and red platelets in their blood. Or should I say read platelets. Ha! I am so funny. In my previous life (before kids) I was a librarian. And before that I was a reader. And even before that I was a lover of stories, as I think all children are at the very beginning. 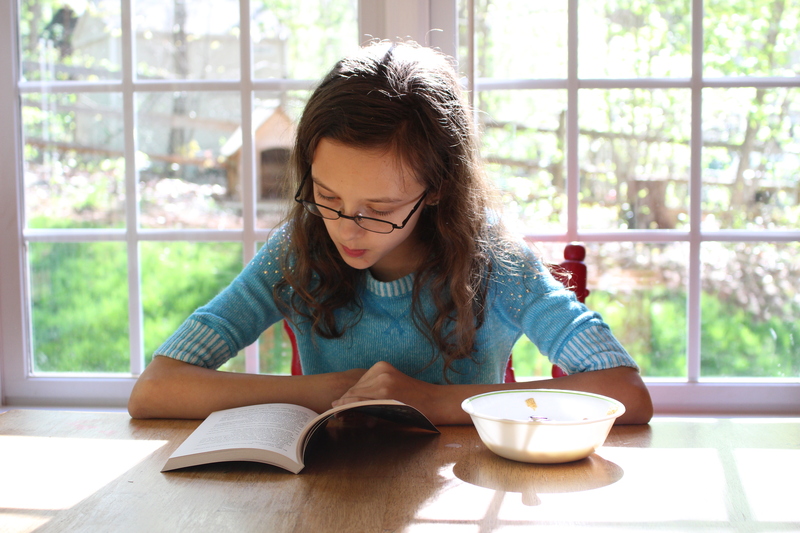 Your task, as your child’s very own book whisperer, is to coax that natural love of stories into a love of books, and guide the love of books into a love of reading, and snowball that love of reading into a love of knowledge. And isn’t that what we want our children to have? 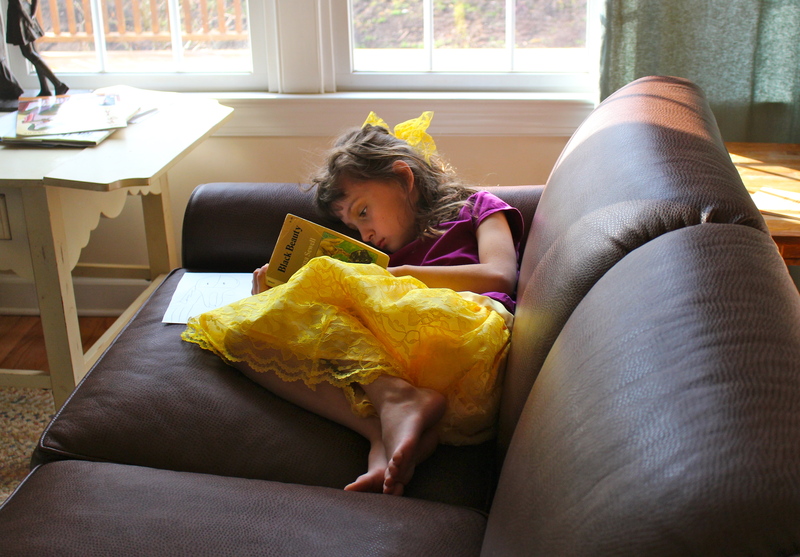 Here are some things you can do to whisper the love of books into your children’s souls. Okay, at the beginning it isn’t “reading” at all. Just take five minutes before you put them to bed, find a colorful board book, and point and turn the pages. That is it. No Ivanhoe, no Sherlock Holmes, no Shakespeare. Just your voice, your finger and a picture. Then, after they go to sleep, leave the board book in their crib so they have something to look at when they wake up. This is like “review homework” for infants. When they wake, they will look at the pictures and remember your voice and your warmth. Seriously. And this is the first step to becoming a book whisperer. Also, do not underestimate the power of nursery rhymes. True, the words don’t make sense, but they can feel the beat. This folds into the wrinkles of their developing brain the rhythm of language and the cadence of words. Which is important when your children are going to grow up as smart as yours will be. 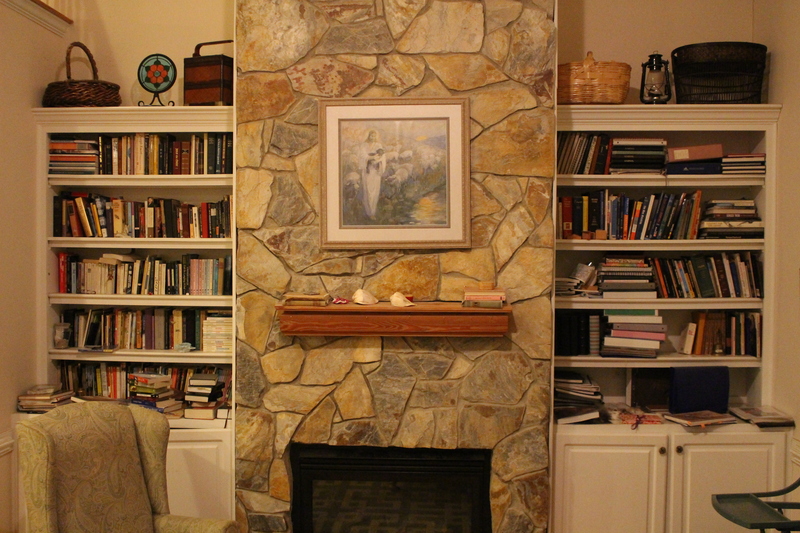 Cover your home with bookcases. 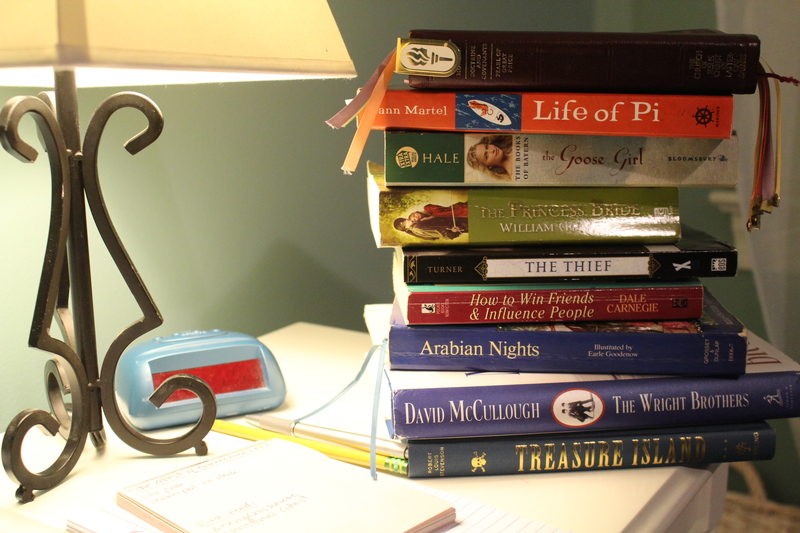 Have books spilling out on to the coffee table and in stacks on side tables and piled near every child’s bed. With books scattered all over creation like this, somebody is bound to be curious. At the very least they will see how important books are to you. 3. Read books to your child every night, even after they start reading on their own. 4. When you go to the library, check out LOTS of books. 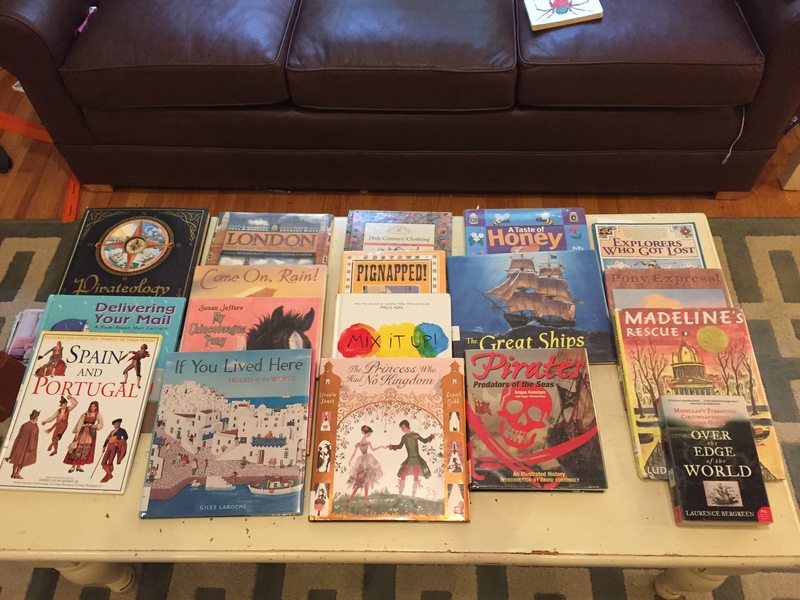 Twenty books for one child is a good start. Load ’em up and read them all. Library fines are overrated. I have paid enough library fines over the years that I am pretty sure I pay the salary of at least one part-time librarian, but it is still worth it. It all goes to a good cause. Consider it your quarterly donation to public literacy. 5. When your children are in school, go to the library for them. 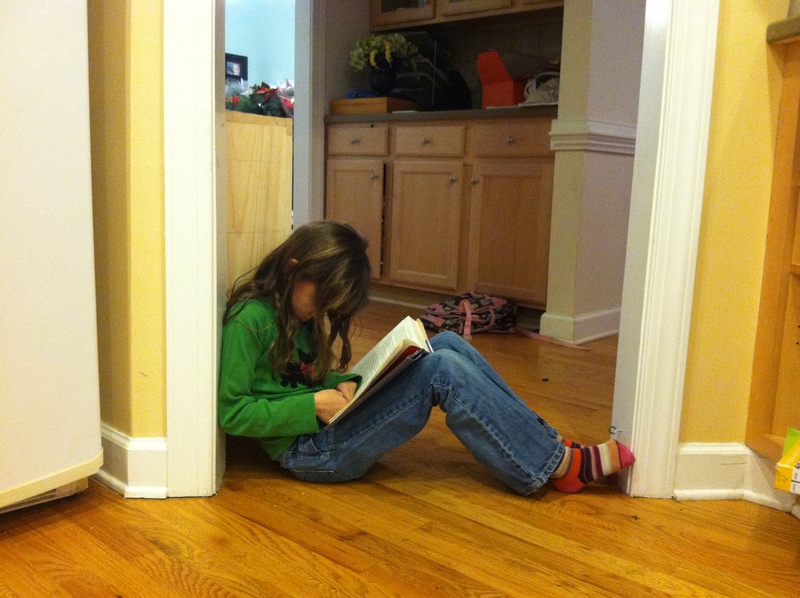 Your kids will grab books and park themselves all over the house and everything will get really quiet. 6. 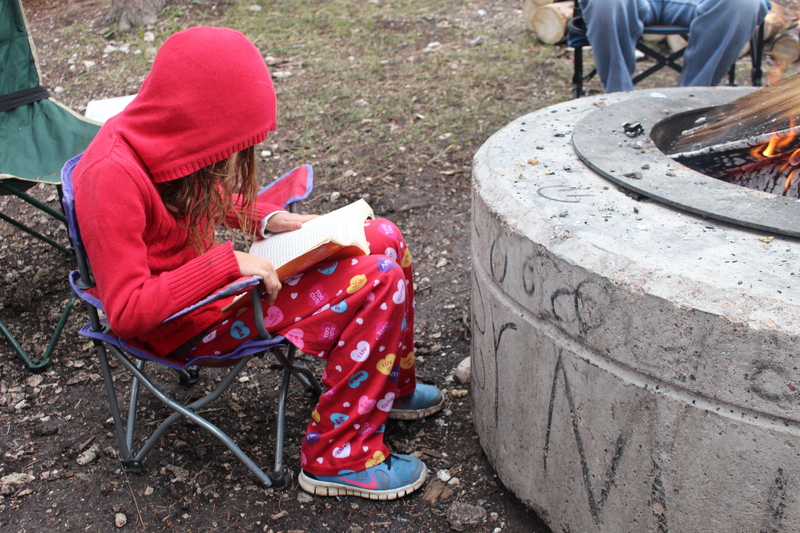 Show them YOU love to read by reading. Share with them the books you are reading and tell them what makes that book interesting to you. Mention to them what your bookclub is reading. And if you really want to get on their good side, read some of their favorite books. 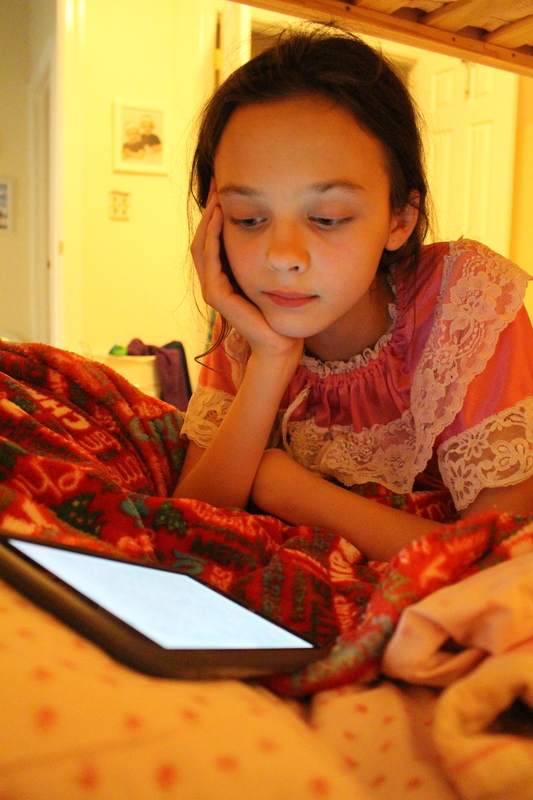 My kids love it when I take book recommendations from them. After all, every parent should know who Percy Jackson is. 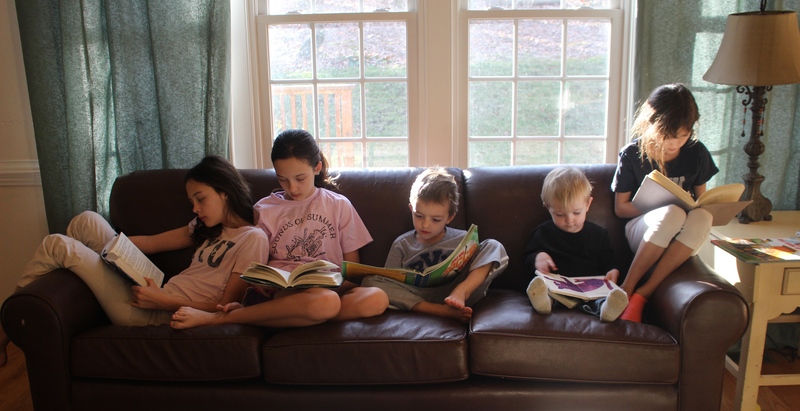 When they see you sharing books with them they are more likely to pass this love of books on to their younger siblings. 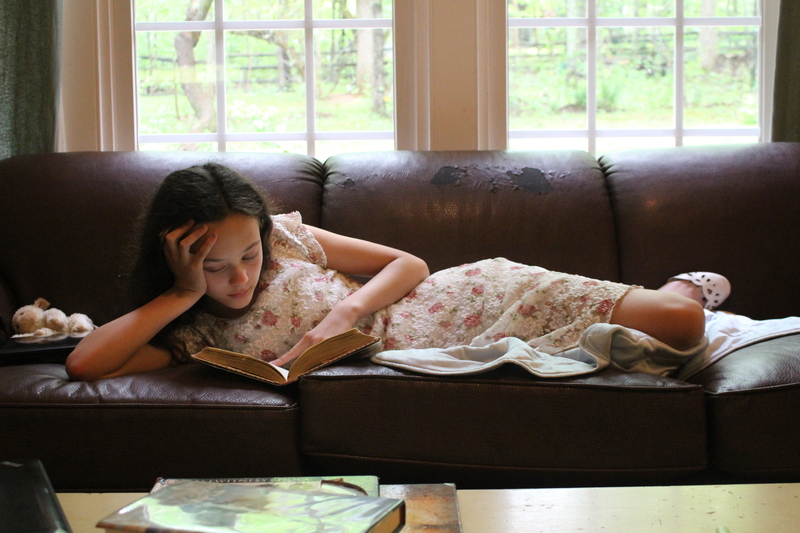 Soon you will have a whole house full of book whisperers. Especially books they *think* they are not interested in. They might just pick it up on a whim. Good locations: breakfast table, coffee table, on their pillows, and in the back seat of the car (where they are trapped with nothing else to do). Birthdays are obvious times when you can give books, but I always try to give my kids a new book when we are going on plane trips, too (which we do a lot of). It becomes a quiet travel companion that does not require batteries or cords and when they are finished they can trade with their siblings. 9. Ask children what books they’ve been reading lately. 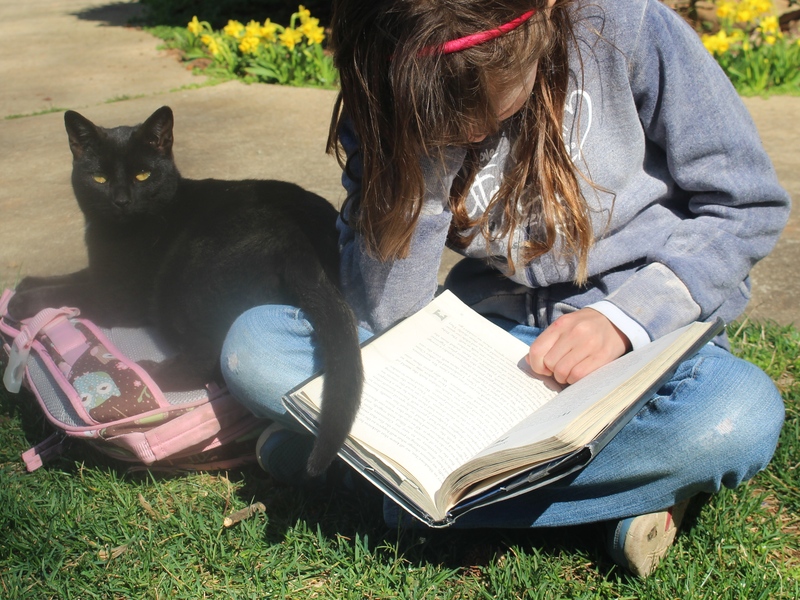 When my children were small, I would often read with my eldest daughter tucked in by my side, the boy draped like a panther half across my shoulders and half across the back of the sofa, a tiny daughter on either knee, and the baby in my lap. If we happened to be on one of our cycles through “Treasure Island,” Robert Louis Stevenson’s swashbuckling classic, my husband would come to listen, too, and stretch out on the floor in his suit and tie and shush the children when they started to act out the exciting bits. This is from a beautifully written Wall Street Journal article entitled “The Great Gift of Reading Outloud.” I love the picture it puts in my mind. I recently heard an elementary school principal say that if your kids can learn to read, they can learn how to do anything else. For sure, it is the gateway to knowledge. But not just knowledge, it is a refuge, a friend, and a connection to those who loved you first. You may have tangible wealth untold; caskets of jewels and coffers of gold. Richer than I you can never be. 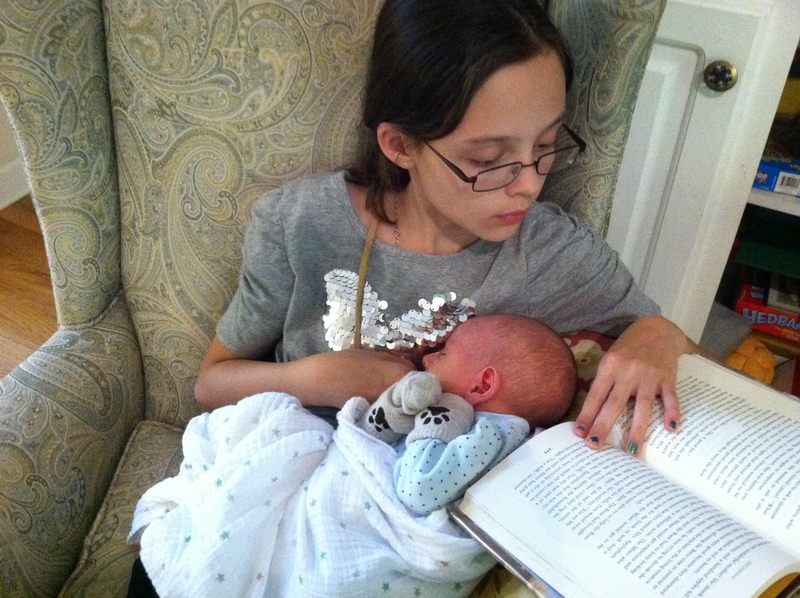 I had a mother who read to me.